easiPart XL by Jon Renau's easihair line is a clip in hairpiece that adds seamless volume and cove..
Lace Front Monotopper Volume 6 is BelleTress's short topper with a higher density of synthetic hair .. The Envy Hair Add-On Top is perfect for those who want more body and coverage for fine or thinning h..
With softly waved hair on two contoured, interlocking clips, these versatile pieces are made to bl..
A versatile bang addition featuring a monofilament part with a Sheer Lines® Front for added stylin.. The easiCrown hairpiece by easihair Jon Renau is a one-piece Remy Human Hair volumizer with a monofi..
EasiCrown HD by easihair Jon Renau is a one-piece volumizer with a monofilament base that adds cov..
easiFringe by easihair is a 100% Remy human hair face framing fringe that can be custom cut to achie..
easiFringe HD by easihair is a face framing fringe that can be custom cut to achieve any bang look. ..
EasiPart French by Jon Renau is a clip in topper, worn over the part, that adds volume and provide..
easiPart HD by Jon Renau's easihair line is a clip in hairpiece that adds seamless volume and covera..
easiPart XL HD by Jon Renau's easihair line is a clip in hairpiece that adds seamless volume and cov..
easiPart by Jon Renau's easihair line is a clip in hairpiece that adds seamless volume and coverag..
easiVolume is the ultimate solution for thinning or fine hair! Created for those wanting full, lus.. Essentially You by Jon Renau is a mid-length, layered, and straight synthetic top piece. It can be w..
One of Rene of Paris' top-selling styles is now available as a topper! This shoulder length topper a..
A handy hair addition, Faux Fringe offers fashionable bangs seamlessly without the commitment of cut.. This little hairpiece makes a big difference for women with hair loss. The monofilament top is paire.. The Halo Bob Hair Enhancer from Rene of Paris is a cutting edge design, created so that you can keep..
Updating your look has never been this easy as it is with the Human Hair Bang from The Black Label C.. This lace font mono top mid-length topper by BelleTress is created with 100% premium Remy Human Hair..
"In a perfect world… we'd all wear couture." -- Raquel WelchThis long, lush top-of-head additi.. The Hair Society Just Nature Hair Topper by Ellen Wille is designed to provide "just" the perfect am..
Lace Front Mono Top Straight Topper by BelleTress, 14" or 18"
"Lace Front Mono Top Straight" comes in two lengths: 14" (Mid-Length) or 18" (Long). The..
Lace Front Mono Top Wave Topper by BelleTress, 14" or 18"
"Lace Front Mono Top Wave" comes in two lengths: 14" (Mid-Length) or 18" (Long). 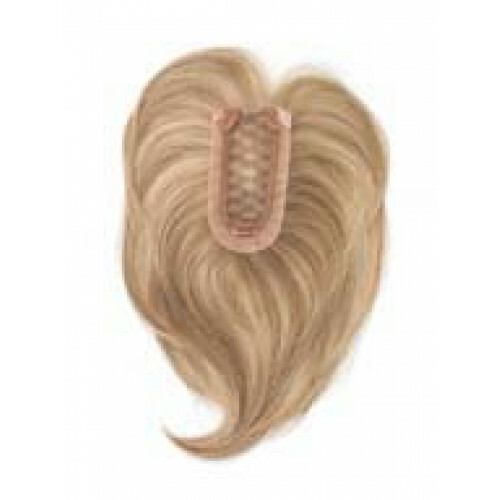 These t..
Lace Front Mono Topper 6 is BelleTress's short topper with full top-of-head coverage. The base is fu..